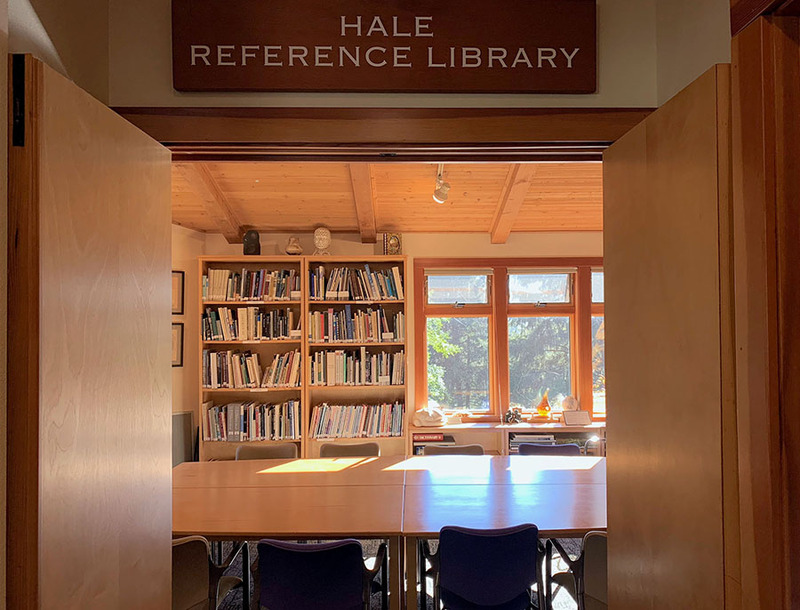 The Hale Reference Library, located on the second floor of the Collins Centrum, houses a variety of books in art, creative writing, natural science, local interest, as well as Sitka’s archives. 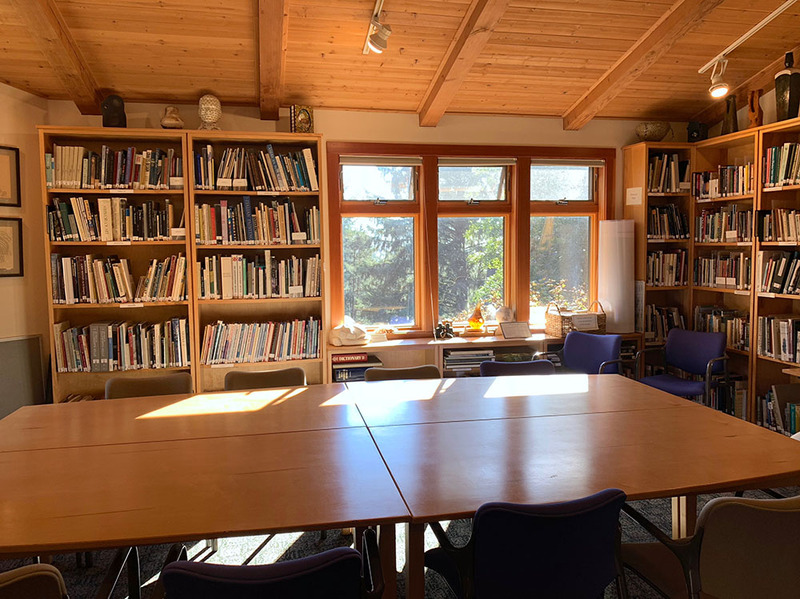 The Warren W. and Mildred K. Hale Reference Library, established in 2001, is a non-circulating reference resource intended for the use of students, instructors, residents, and other visitors to the Sitka Center. The collection is limited to library items related to art, ecology, creative writing, and local interest. It is operated almost entirely by dedicated volunteers Pete and Connie Owston. We now have more than 1,000 art and ecology books and other items, which have been acquired wholly by donations. The library was established in 2001 and was named for the parents of Sitka member Bill Hale who donated the funds for the materials and construction of the bookshelves.